Churchill Downs Racing Club’s Warrior’s Club has raced on the grandest of stages throughout his 24-race career including the undercard of the Kentucky Derby (Grade I) and Belmont Stakes (GI) but the colt hopes to rebound from a disappointing effort in the Met Mile (GI) three weeks ago in Saturday’s $75,000-added Kelly’s Landing Overnight Stakes at his home track of Churchill Downs. Warrior’s Club was purchased by Lukas in 2016 for the Churchill Downs Racing Club and has since won five races and banked $614,504, most notably winning the $250,000 Commonwealth Stakes (GIII) at Keeneland in April. Jockey Gabriel Saez picks up the mount on Warrior’s Club and will break from post six at odds of 3-1 on the morning line. The field for the Kelly’s Landing from the rail out: Awesome Saturday (ridden by Brian Hernandez Jr., trained by Bret Calhoun, 121 pounds, 8-1 morning line odds); Lookin for a Kiss (Jon Court, Mike Tomlinson, 121, 20-1); Mr. Crow (Joe Rocco Jr., Ben Colebrook, 121, 7-2); Harmac (Jose Valdivia Jr., Grant Forster, 121, 30-1); Cool Arrow (Adam Beschizza, Joe Sharp, 121, 20-1); Warrior’s Club (Saez, Lukas, 123, 3-1); Requite (Julien Leparoux, Ian Wilkes, 121, 20-1); Storm Advisory (Ricardo Santana Jr., Brian Williamson, 121, 20-1); C Z Rocket (Shaun Bridgmohan, Al Stall Jr., 121, 12-1) and Chief Cicatriz (James Graham, Shawn Davis, 123, 7-5). 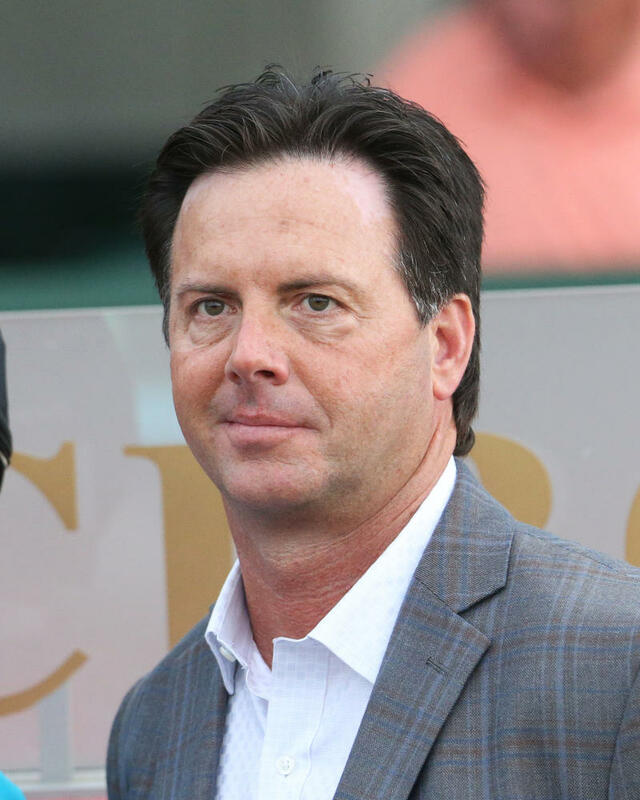 CALHOUN HOPES FOR 2-YEAR-OLD DOUBLE IN BASHFORD MANOR, DEBUTANTE – Trainer Bret Calhoun has already won five races in 2018 with 2-year-olds but hopes to add to his win total Saturday with Tom Durant’s Shanghai Roo and Shanghai Rain in the $100,000 Bashford Manor (Grade III) and $100,000 Debutante (Listed), respectively. 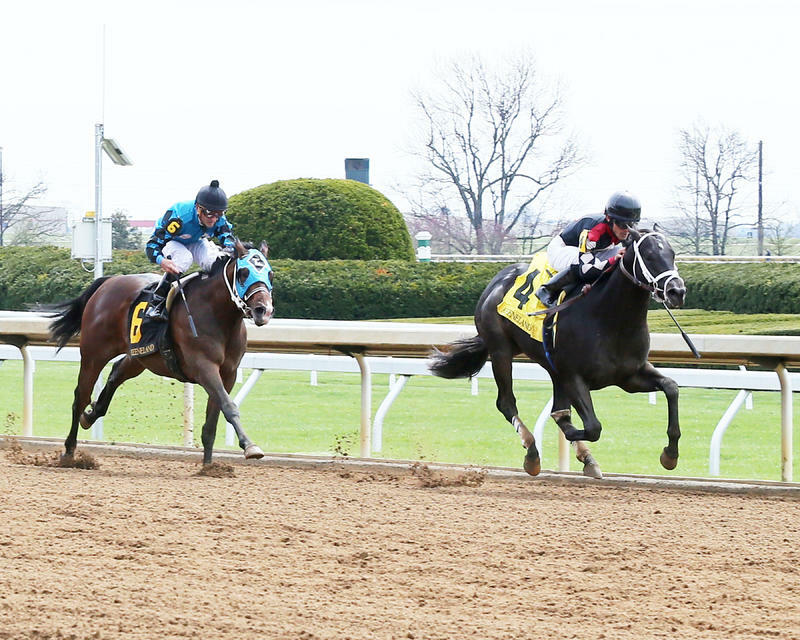 “(Shanghaied Roo) was so impressive in his debut at Keeneland that we thought he would be in a great spot for the Kentucky Juvenile,” Calhoun said. “It was just a freak incident of him tying up (cramping) before the Kentucky Juvenile. I was so confident in him that day, I thought we could win for fun. Shanghaied Roo is a 2-year-old by Shanghai Bobby out of the Uncle Abbie mare Hollye Lynne. 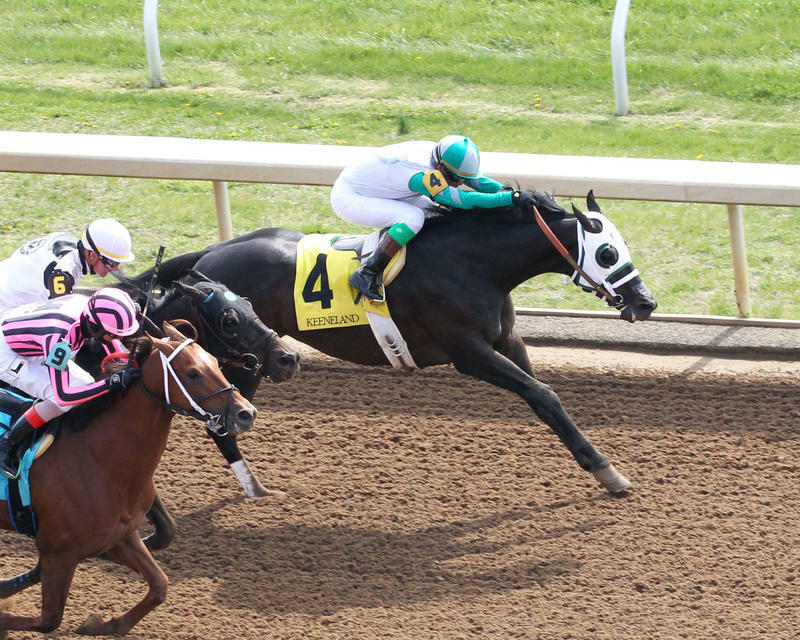 The colt broke his maiden on April 6 at Keeneland when he rallied from just off the early pace in a 4 ½-furlong maiden special weight to win by 2 ¼ lengths under jockey Gabriel Saez. The six-furlong Bashford Manor goes as Race 11 Saturday with a post time of 5:56 p.m. (all times Eastern). Four races prior, in Race 7 at 3:50 p.m., Calhoun will send out Shanghai Rain as she attempts to win her second-career race in the Debutante. Saez has the mount on Shanghai Rain and will break from post 9 as the co-second choice at 3-1 on the morning line. 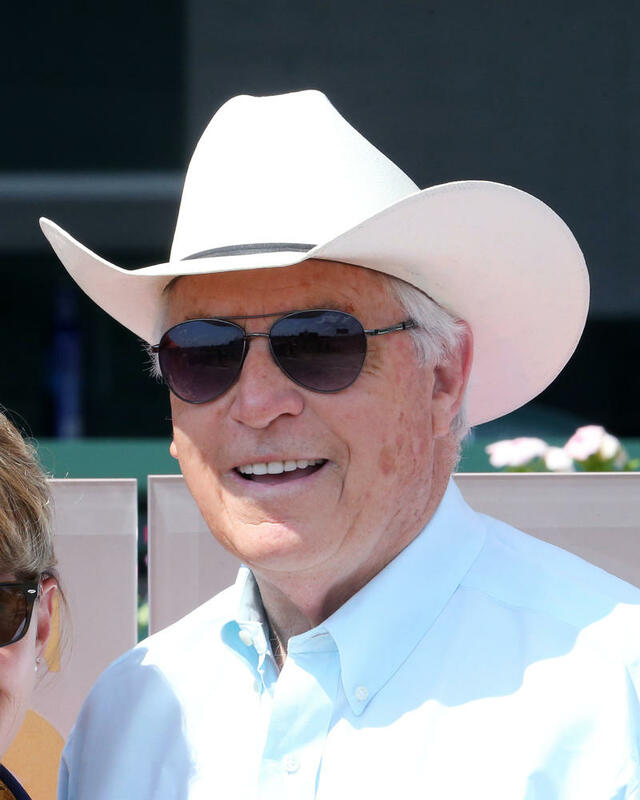 Three Chimney’s Farm and Fern Circle Stables’ Restless Rider, a winner in her debut by 2 ½ lengths on June 8 at Churchill Downs for trainer Kenny McPeek, was made the 5-2 morning line favorite by odds maker Mike Battaglia. DICKEY RETURNING TO THE JERSEY SHORE WITH ONE GO ALL GO – It’s been six years since trainer Scooter Dickey left his Churchill Downs base to send a horse to his former “summer home” at Monmouth Park in Oceanport, N.J. but the veteran conditioner is targeting Elkhorn Stakes (Grade II) winner One Go All Go for Saturday’s $300,000 United Nations Stakes (GI). One Go All Go, a 6-year-old Virginia bred by Fairbanks entered Dickey’s barn in November after owner Rodney Paden purchased the horse for $62,000 at the Keeneland November Breeding Stock Sale. 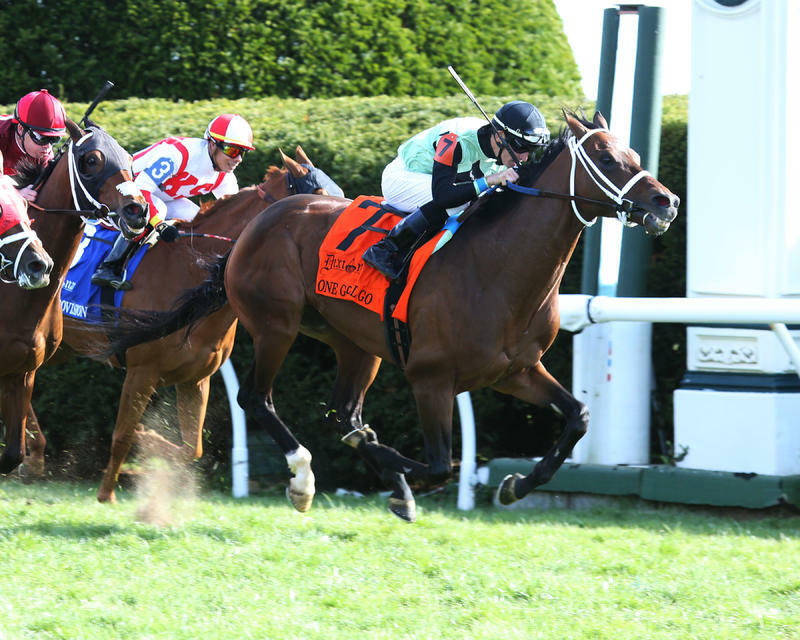 Locally-based at Churchill Downs, One Go All Go sprung a 9-1 upset in the 1 ½-mile Elkhorn after leading gate to wire on the turf under jockey Chris Landeros. The bay has a career record of 26-4-5-4 with $713,538 in earnings. 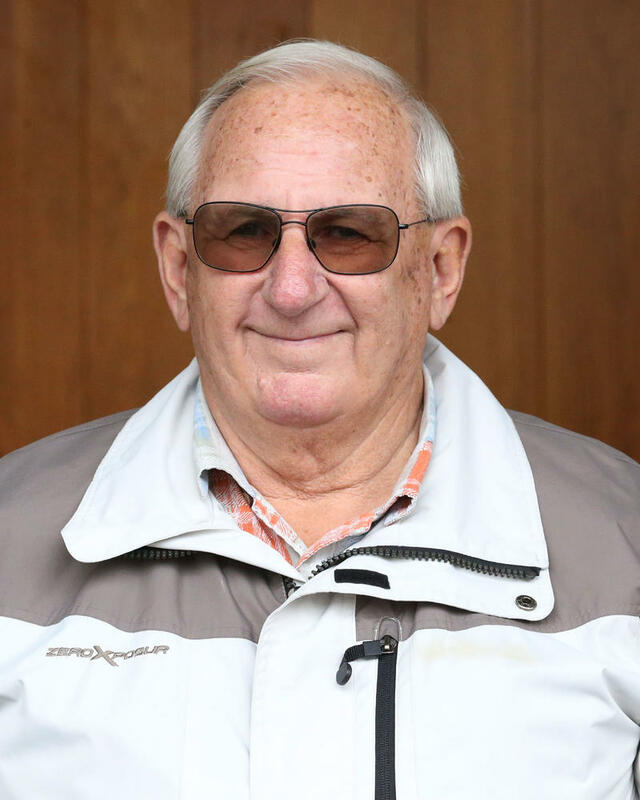 COURT TO MISS FIVE WEEKS WITH SHOULDER INJURY – Veteran jockey Jon Court will be sidelined for at least five weeks because of a shoulder injury suffered earlier this week, according to agent Steve Krajcir. Court, 57, began his career in Colorado and moved to Kentucky in 1995. The eight-time Grade I-winning rider was scheduled to ride at Ellis Park following the close of Churchill Downs’ Spring Meet. Prior to his injury, Court had six wins through 96 starters at the 2018 Spring Meet. DOWN THE STRETCH – The 2018 Spring Meet concludes with live racing Friday and Saturday. Friday’s 11-race card features a 20-cent Single 6 Jackpot carryover of $60,164 which begins in Race 4 at approximately 2:13 p.m. Saturday’s closing-day 12-race program will also get underway at 12:45 p.m. … Should Churchill Downs’ parking lots fill up Saturday, the track will provide free parking and shuttle service from Lot H at the Kentucky Exposition Center (inside Gate 4). Guests also may park in the gray, maroon, lime and Wagner’s Pharmacy lots starting at noon but they will have to park and walk. Parking in the neighborhood also is an option. … Hall of Fame trainer Steve Asmussen’s impressive maiden winner Tight Ten, who won his debut in a six-furlong maiden special weight in Race 5 Thursday night at Churchill Downs, added his name to a growing list of graded stakes winners who also broke their maiden on closing week of the Spring Meet at the same conditions, including 2005 Hopeful Winner (GI) First Samurai; 2009 Forego (GI) winner Pyro; 2009 Iroquois (GIII) winner Theskyhasnolimit; 2010 Sanford (GII) winner Maybesomaybenot; 2014 Dominion Day (GIII) winner Sky Captain; and 2016 Sanford winner Bitumen. … Attendees on Saturday are advised to take Taylor Blvd. for a swift exit. There’s a 7 p.m. Taylor Swift concert at nearby Papa John’s Cardinal Stadium and heavy traffic on Central Ave. is expected after the 6:25 p.m. final race. … The hosts of “Inside Churchill Downs” – Churchill Downs Racetrack’s John Asher, Darren Rogers and Kevin Kerstein – will revisit some of the memorable moments of the 2018 Spring Meet and preview Saturday’s three stakes races on their 6-7 p.m. show that airs every Friday on ESPN 680/105.7. Those outside the Louisville area can listen live online at http://www.espnlouisville.com/ or download a podcast of the show after its completion. … Congratulations to trainer Michelle Lovell for being named Barn of the Week. Lovell and her staff will be honored with a winner’s circle recognition Friday and a pizza party.